We offer a variety of menus to ensure that we can suit both your taste and your budget, from standard menus to gala dinners. Our experienced team of in-house chefs provide your event with the best cuisine using locally sourced and fresh seasonal ingredients, and our Hall Manager and enthusiastic team will ensure you have the best possible service in a professional and courteous manner. Detailed information and further images on all dining and function rooms can be found in our Meeting and Function Rooms page. 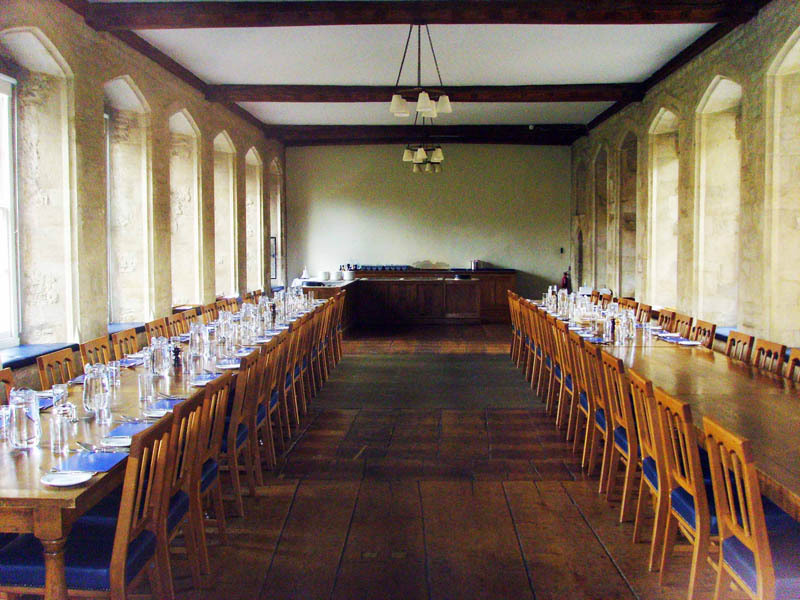 We can offer dining for up to 200 guests in our medieval hall - the oldest in either Oxford or Cambridge - as well as a selection of more intimate dining spaces for smaller groups. Description: A versatile space in the heart of the college. 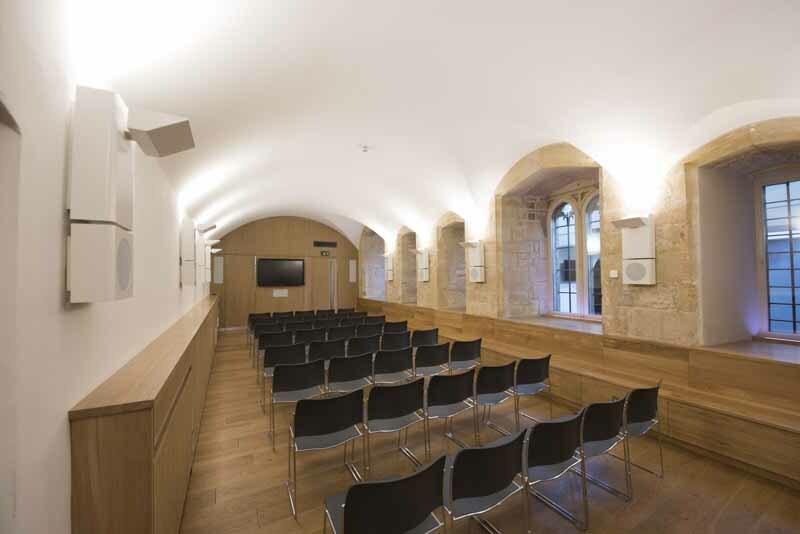 Adjacent to the South Undercroft and Beer Cellar, the room can be opened up to create an informal space for teas and coffees and drinks receptions as well as a meeting room. 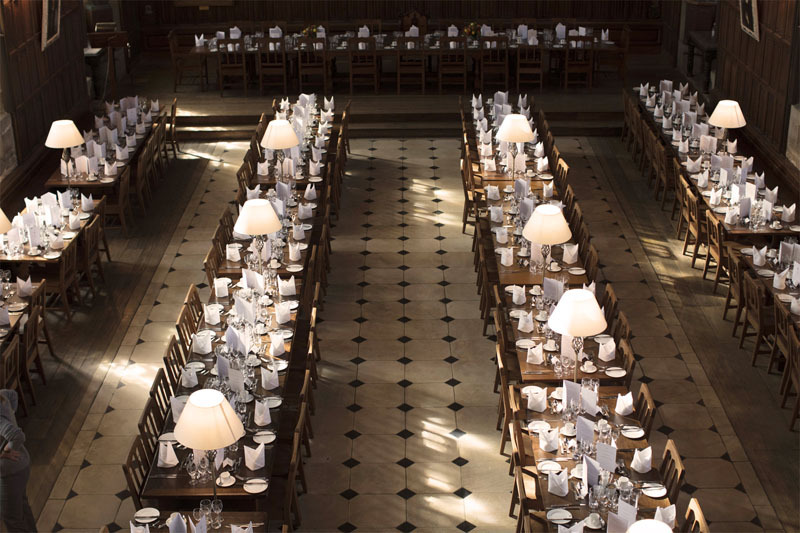 A private and intimate dining room, situated in the heart of the Front Quad with a vaulted ceiling and chandelier lighting. It can also be used for small receptions. 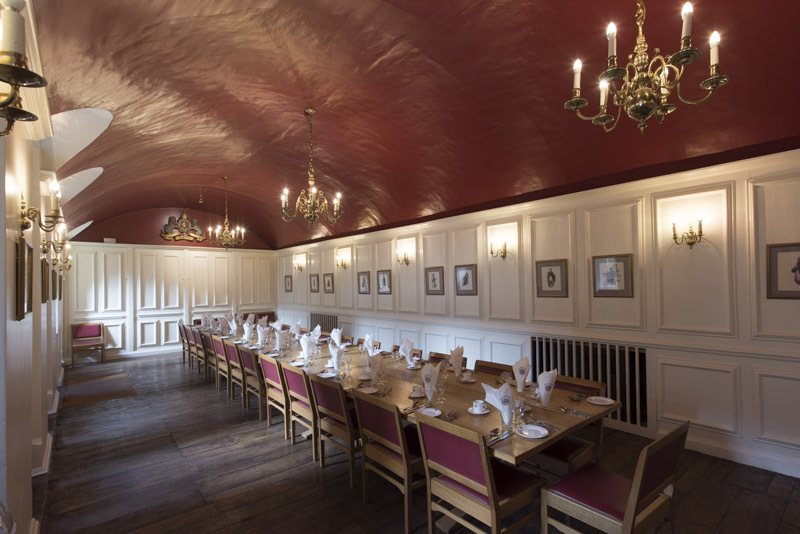 A spacious and light dining room with original oak flooring and wonderful views over the Front Quad, gardens and 12-Century City Wall. Also suitable for receptions. We offer a selection of special menus for conference and corporate dinners to suit most budgets and we carry a wide range of wines in our cellar. You can download our sample banqueting menus. If you would like to enquire about anything related to Conferences and Functions, please contact our Conference and Events Manager.